This spectacularly upgraded executive home is perfect for living, entertaining and relaxing. 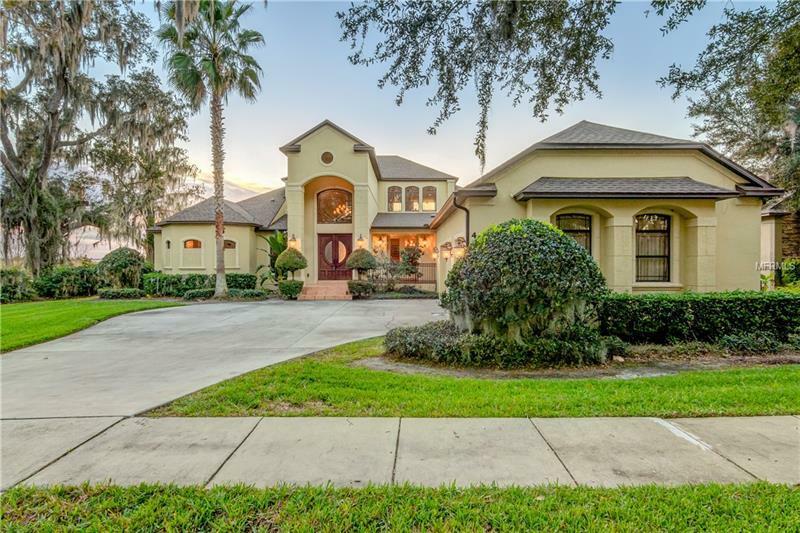 Situated on East Lake Toho's 11000 acres you can enjoy stunning sunsets, wildlife, boating, fishing or water-skiing right in your backyard....only 10 minutes from Nona's Medical city! When you enter your home through your grand entrance with custom mahogany doors you are greeted by the warmth of Anderson hard wood floors and custom wrought iron/wood stairs leading to a masterful up stairs mother-in-law suite. This is a wonderful living space with a full bar including granite and wood cabinets, huge living area, full bathroom, with French doors leading to a very large lanai with the best views of Lake Toho. Designed with formal living and dining in mind, the perfect kitchen overlooks your family room which leads out to a huge lanai overlooking a custom pool with waterfall cascading into your spa. Your home has 3 nice sized additional bedrooms downstairs with one located near the master perfect for a study, office or nursery! Upgrades are plentiful throughout your entire home, from custom cabinets, granite counter tops, an extra convection oven to decorative tile in the baths and upgraded lighting throughout. Upgrades also include: new roof in April 2018, new air conditioner in Master Bedroom in 2018, new lanai screening in 2018, extended wood flooring into TV room to replace carpeting, exterior painted in 2016, interior painted in 2017, refrigerator replaced in 2016, and 3 windows replaced upstairs.